You are about to discover a 6 week video course of a full body workout routine and health regimen that can be performed at home called My System by health expert JP Muller. 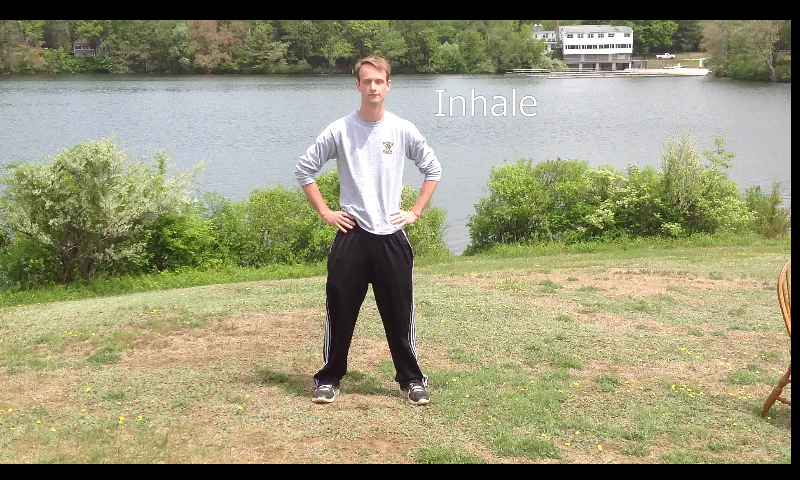 The system involves bodyweight movements, deep breathing, and self massage that is completely safe and easy to use. The results you receive will guarantee you perfect health as well as the ability to maintain perfect health for life. Through this proven system, you will develop strong, harmonious and functional muscles while the deep breathing and self massage will give you powerful internal organs (lungs, digestive system, kidneys, etc. ) and skin soft as velvet and wrinkle proof for life. Your body will feel amazing all day too. And it only takes 15 minutes to complete saving you time and money by reducing doctor visits, cutting all gym costs and eliminating the need for any pills. Before we get into the exercise system itself and all of its amazing benefits, I’ll tell you a little about myself, how I came across these health secrets and why I’m creating this website. My name is Dylan and over the past few years I’ve discovered, read and practiced different health methods. I grew up in New York where I’ve always been considered a good athlete and was in good health my entire life; I was even athlete of the year in high school. That all changed when I read some bad information on the internet and started practicing unsafe health practices. What were these unhealthy practices you ask? Well it was deep breathing. You’ve probably heard stop and take a deep breath, but when you practice deep breathing unwisely and with too much strain it can be a detriment to your health; and that’s eventually what happened. 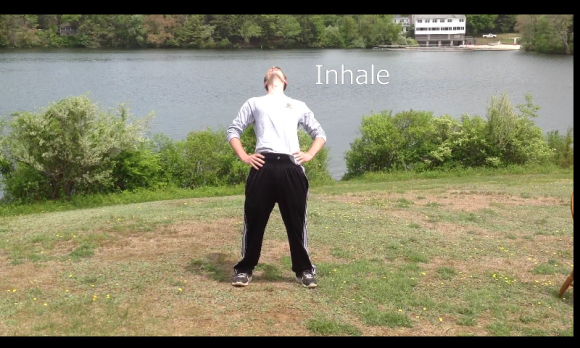 (Read Dangers of Deep Breathing Here)My health was greatly affected and hurt by practicing unsafe breathing techniques. I pushed on though and vowed I would fix this problem I created for myself. After practicing Muller’s system for a long time, I’ve regained my health and learned so much valuable information I feel it’s my duty to share them. Also, unfortunately, there’s a lot of bad information and risky practices being shared online and I want to create a website with good information and safe practices. So if you want great health and body maintenance tips very few people know and to learn a concise system that can be performed anywhere, anytime, read on and learn the truth about health, strength and beauty. At this point you’re probably eager to hear about this system and its wonderful Danish author. JP Muller was born a weak and small baby in Denmark; small enough in fact he could fit into a cigar box. He wasn’t expected to make it past childhood and was a sickly boy. Eventually though, Muller took matters into his own hand and began exercising and learning about health. Muller was so successful in his work he was the most well known Danish person during his life. My System went on to become one of the highest selling health and fitness books of all time and written in over 20 languages. He set Danish records in athletics, won hundreds of prizes in many different athletic events and was celebrated across the world for his efforts. Kings, celebrities and even the famous author Franz Kafka sought out his help and to learn his health principles. From sick boy to champion athlete, Muller’s life and work shows you are the master of your own health. No matter where you are in life, for the most part, you can obtain perfect health. The information in My System has been lost over the years but I intend to bring the information back to life and let you experience My System and Muller’s health principles. All you’ll need is access to clean water, clean air (an open window or a place to exercise outside) and a little bit of discipline. Muller was famous in the 20th century and if you are concerned this isn’t a brand new workout don’t be. The truth is timeless and this exercise system is based solely on the principles of health and the science behind it. The same health truths and principles that existed when the Egyptians were building the pyramids and the Greeks were the power of the world will be the same health principles a thousand years from now. Muller was far ahead of his time and even today his ideas and My System is innovative and beyond what the common person knows. This health regiment will take care of every health need you have and some you never thought of. So if you’re eager to learn My System you can read it for yourself (Which I strongly encourage). It is over a hundred pages long and can be complicated to learn. This system took over 45 years to perfect and is the life’s work of a health expert so there’s a lot of little rules and nuisances in the book you may miss and ones I certainly missed in the beginning. Since first reading the book, I’ve re-read it, then read it again and again and again (not mention performing the routine over 500 times!) to make sure I know everything there is to know about My System. You want the benefit of performing My System correctly and should watch The Perfect Health At Home video series to ensure that. Essentially, the three most important aspects to health are strong and properly working lungs, high functioning skin and strong internal organs. The problem is, modern exercise techniques mostly focus on muscles and muscles alone. My system will develop your muscles greatly but it also focuses on equally important aspects of health too, which is basically entirely overlooked today. In my system you’ll learn how to breathe in over 18 different exercises, as well as a special standing deep breathing exercise to be done in between exercise. You’ll also learn a unique massage technique for your skin that will tone up your muscles and get your skin looking and feeling better than you can ever imagine. The system it’s self is broken up into three parts and your daily shower is going to be incorporated into this. There are many ways to do the system but the most popular way is to do the first nine exercises, which include standard bodyweight exercises like pushups, sit ups, leg raises, sideways bends, and moves of that nature, as well as the deep breathing in between each exercise. After this is completed (you’ll learn to do so in under 7 minutes! ), you take a quick cool shower (amazing for the nerves). Lastly, you finish off with nine muscular exercises such as toe touches and squats that combine with a skin rubbing massage technique (also done in seven minutes). Let’s look closer at the deep breathing. Deep breathing is one of the most powerful stress relievers on the planet and one of the healthiest practices someone can do. Unfortunately, and I know from experience, misuse of deep breathing can be one of the most dangerous practices and can cause derangement to the nerves and injury to the lungs. The beauty of the deep breathing in this system is its completely safe and effective because you practice the deep breathing only when it is needed. You can measure a person’s life in terms of breaths, from their first to their last and the person who breathes deepest, properly and fullest lives best and you will learn to breathe in such a manner. You may be asking yourself if I need the cold shower? The answer is yes and no. A cool shower in the morning can calm your nerves extraordinarily and strengthen them over time; it’s also better for your skin and hair than a hot shower. It’s best, though, to gradually condition your body to a cool shower, especially if you’ve only been taking hot ones, by decreasing the temperature in increments. Also, your body needs to be warmed up before you can take a cool shower or the cool shower can have negative results. That’s why the seven minute exercise before the shower is so important, this way you can enjoy the refreshing benefits of the cool shower with no negative side effects. You may have heard of the health benefits of deep breathing and maybe even the benefits of cool showers but the skin rubbing massage is probably completely novel to you and you may be hesitant to do it. Don’t be! I’ll explain why. The skin is one of the largest organs on your body and its functionality is one of the most important, and over looked aspects of a healthy individual. Also, the key to beautiful and perfect skin isn’t in lotions; its through friction and cleanliness. Your skin, along with your lungs, help eliminate the poisons in your body and helps control internal temperature of your body. Also, bacteria and disease penetrate themselves into your body through your skin; stronger and healthy skin makes it harder for bacteria to do so! While doing these skin rubbing exercises with your hands (creating friction), you’ll also be performing muscular exercise, like toe touches and squats. These rubbings are scientific in nature and help improve blood circulation as a result. These are performed in front of an open window (the entire system is performed outside or in front of an open window) and while learning you may wear clothes. As time goes on you’ll be able to do these exercise with little clothes on in the middle of the winter, or naked, as the author suggests, if you feel comfortable doing that. Doing this seven minute rubbing exercises will make sure your skin wrinkle-proof as you age and will tone up your muscles; including the million small ones you couldn’t exercise in any other manner. Here’s a picture of JP Muller in his mid 70’s! What seventy year old (or sixty or fifty or forty year old) do you know without a single wrinkle on their face? It’s also a powerful arm exercise that will produce strong biceps and triceps, as well as muscular shoulders and upper back. If you look at the statue above of JP Muller you will see how big his arms are. You’ll be massaging the important internal organs like kidney, liver and digestive system and along with the massaging effect deep breathing has, you’ll be able to maintain healthy organs for life. The author performed these exercise everyday and his skin was strengthened so much, he could ski in the Danish mountains and ice skate in the middle of the winter with nothing more than a loin clothe in sub-zero temperature without harm and be perfectly warm. The average person could not stand to do this and it would be extremely dangerous to attempt it but you will possess skin that strong and healthy in time after daily and faithful practice. You can also do the first set of exercises and cool shower in the morning and skin rubbings at night before bed, in two easy 7 minute sets; who doesn’t have time for that? Health is one most important things in life while some would argue the most important thing in life. Some people spend hours in the gym to develop big muscles but ignore more important aspects of health like breathing, relaxation and the function of the skin. What’s the purpose of having giant arms, spending thousands of dollars on supplements ( some very harmful to the overall health) if your skin is weak and you end up getting sick by neglecting to take care of it or having digestive problems from over eating in your attempt to put on as much mass as possible? 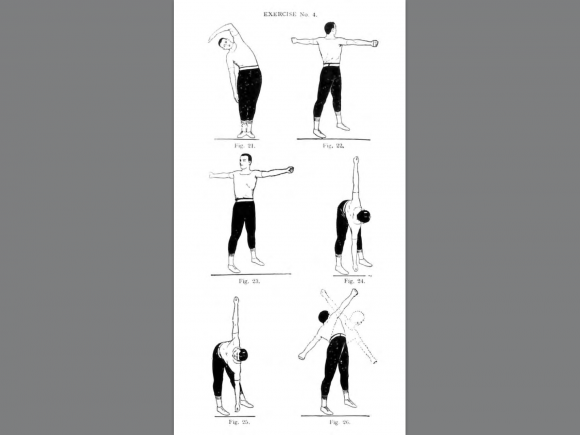 These exercises give you the body of the ancient Greeks (by design). You will receive a muscular body that is dignified and relaxed in appearance and not the tensed muscular look of the average gym goer. You’ll be evenly proportioned and will not have muscles that seem out of place or awkward. Health is attractive. It looks beautiful and it feels amazing and it is so simple to obtain. It doesn’t require anything but your own body, some clean air and some water to bathe in. So go out and practice this system. There’s no excuse not to treat yourself to these fifteen minutes of exercise, especially considering the benefits one gets from it. Feel the amazing affects of practicing My System daily and your confidence will grow along with your body. One last thing, don’t wait until your health is taken away from you to do something about it; you may find you’ve gone too far to ever fully recover or you may spend thousands of dollars on pills and doctor visits for minimal results. Its best to simply maintain your health than to regain it and with the techniques outlined here, while practised faithfully, you will have the wonderful gift of health for life. Very interesting read. I have never heard about “My System” or its inventor J.P Muller. I suffer from chronic back pain and fatigue. Would “My System” help me? If so, how? Also, because you suffer from back pain and fatigue I would double check with a doctor before doing anything. These exercises are completely safe though and if you do choose to do them I would recommend turning this into a 12 week course instead of 6 week so you build your strength up. Let me know how everything goes! Great website! Very informative, so glad I came across this website. Thanks so much. If you have any questions let me know! What’s up Dylan. I really found your post on the My System routine by JP Muller to be informative and interesting. You are absolutely right in that there is a lot of bad information on the internet and you also have people desperate to find anything that will work. I am going to give the My System a try as I like the concepts and ideals behind the system. I’m also a believer that you can stay healthy without working out for hours or having to pay expensive gym fees. Thanks for the post and keep up the good work. An extenive and facinating read. I personally have not heard of Muller but that does not surprise me even though you say he was very well known in his time. When exactly was he around? It is interesting how often earlier good work or information gets lost only to be ‘re-discovered’ years later. And this is not the only instance of that. Good health is the key to many things and provided you do not subcumb to some illness will serve you well into old age. Even some illnesses can be warded off with good health. Very informative website. It’s good to see a method that works without having to take any medication. It’s also good to see a real life person who has success from this method. I’ve never heard of ‘my system’ before but it’s something that I can talk to and suggest to others. Hello Dylan, Very informative page. I have never heard of My System or Jp Muller. I was impressed with the fact that just doing a few techniques can improve your skin as well as improve your health. Is this a type of regiment that can be used on a daily basis or can you split it up through out the week? Once you learn the skin techniques it takes only 7 minutes a day and in all its 10 exercises. This is a daily exercise but you can do it when ever you want and it doesn’t have to done at the same time as the first part of the workout system. If not doing it with the first part of the system right before bed is the perfect time to do it. And it’s amazing how simple it is to have perfect skin. doing the rubbings for a few weeks your skin will already be extremely smooth and soft. Folks will find a lot of helpful information, especially if they are just starting out and trying to get back into a healthy lifestyle. That’s the goal here; to create a place of honest health tips and to help anyone who wishes to get healthy a chance at it and anyone who wishes to maintain health for life a easy way to do so. Dylan, I discovered Muller while researching the fitness regimes of famous authors.Kafka was a serious practitioner of the Muller system. I am 63 and retired I have been doing the system every morning and am still trying to get the exercises right. Your videos are an enormous help, thank you. Have not started on the self massage yet. I will when I feel I have mastered the exercises.